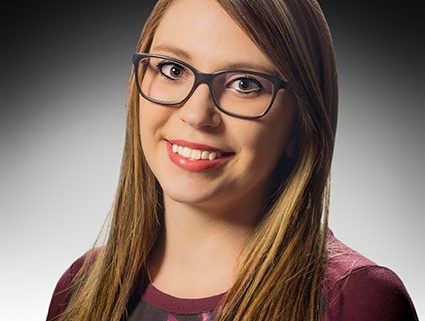 ABC would like to announce the promotion of Masie Reece to North Central Council Manager! With Masie’s transition into her new position, we have decided to postpone the North Central Member Appreciation Cookout originally scheduled for July 24. We greatly appreciate your understanding! For any details on the event coming up this week, including how to get to Crane Bay, a map is available in the event details here on our website. Based on the merit shop philosophy, ABC helps members develop people, win work and deliver that work safely, ethically and profitably for the betterment of the communities in which they live and work. Contact Cat for further details! Associated Builders and Contractors of Indiana/Kentucky (ABC) hosted the annual Merit Shop Construction Awards Gala last Thursday night at the Scottish Rite Cathedral. The purpose of the Gala is to recognize Excellence in Merit Shop Construction. 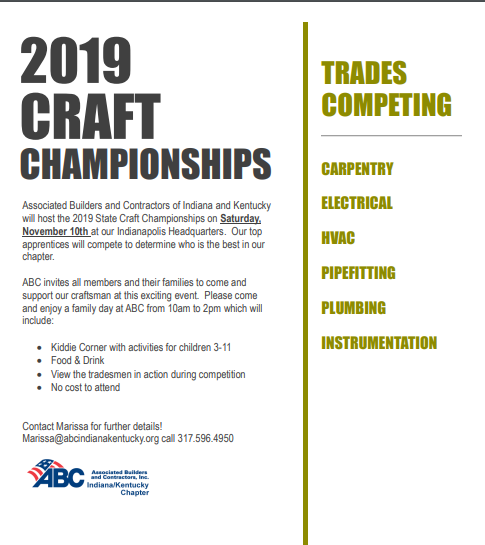 ABC Members from across the chapter submit a variety of projects to compete for the esteemed “Award of Excellence” and “Award of Merit.” Projects are evaluated on criteria including Safety, STEP- status*, and Constructability. A panel of judges (comprised of industry experts) review submissions and name winners. The Gala is a great opportunity for the construction industry to come together and celebrate the accomplishments of our ABC members. In addition to the Awards of Excellence and Merit, the ”James W. Rabold Safety Award” and the “S. Douglas Trolson Image Award” for member engagement are presented. This year, the event featured Warren Central J-ROTC for the presentation of the colors, followed by the National Anthem sung by Joanna Reinhardt. Al Wurster, of Wurster Construction, gave the invocation. At the ceremony, more than 30 projects were recognized – 90 Awards of Excellence and 50 Awards of Merit were presented to those involved. Our Presidential Sponsor, Gaylor Electric Inc., presented Meyer Najem with the evening’s Presidential Award, as they earned the highest overall score for their Community Cancer Center North project. Paul Zuranski (Gaylor Electric Inc.) and Larry Sheets (RLTurner Corporation) were presented with Rabold awards by Mr. Rabold himself. Both Paul and Larry are exemplary models of safety in our industry and thanks to their hard work and passion, ABC contractors continue to lead the industry in safety. Finally, J.R. Gaylor presented two members (Fredericks, Inc. Contractors, and Commercial Trade Source) with the S. Douglas Trolson Awards for member engagement. Both contractors are avid supporters of the Association and our members. 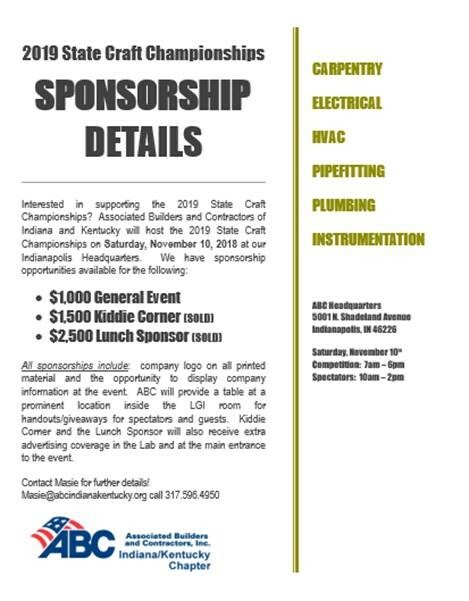 Details on the winning projects can be found in the Indianapolis Business Journal (starting October 10th) and featured HERE on our website. 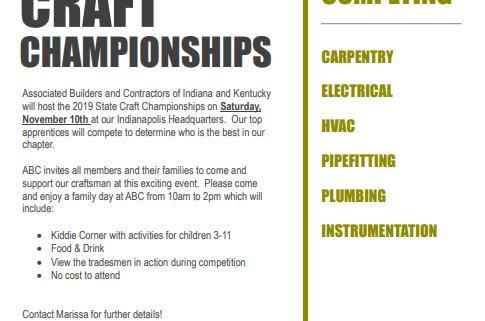 For those with winning projects outside of the Indianapolis area, ABC will work with your local news outlet to share your achievements.